Create Your Own Campaign Videos LEGO-Style. It's Fast, Flexible And Free. Image by Bruno Glätsch from Pixabay. "LEGO®is a trademark of the LEGO Group of companies". Cars at the turn of the century were custom made and expensive. Henry Ford automated the production of cars. This slashed the cost and made cars more affordable to more people. Most campaign videos are like custom cars before mass production, expensive and inaccessible to most candidates. New apps are changing how these videos will be made. Candidates can assemble their own professional-looking videos with video clips, images and music. Most of the components can be re-used to create new videos quickly which are then released on social media. This is how he created the videos with a little help from DemLabs. 1. Use a relevant, catchy graphic is for each video using free images from Pixabay. 2. Present your position on the issue. 3. Video your message on a mobile phone. Re-use the clip in multiple campaign videos. 4. Add the appropriate Federal Election Commission (FEC) disclaimer message. 5. Close the video with a link back to your campaign web site and Facebook page.Each video is about 30 seconds long with an upbeat soundtrack. 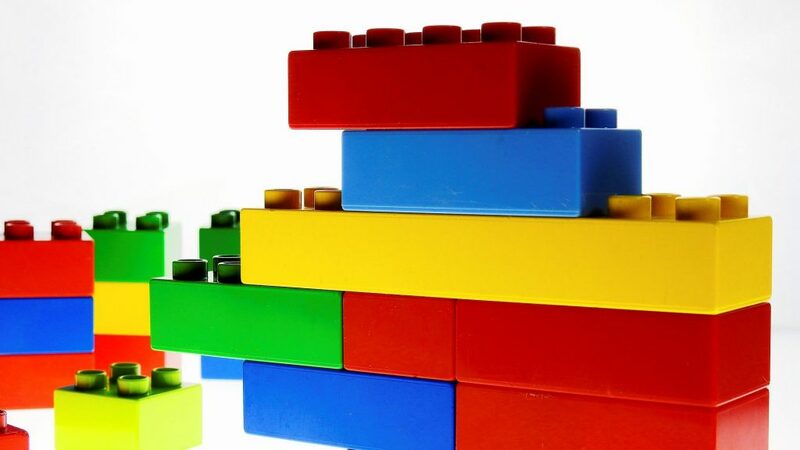 Campaign videos: easy as building with LEGO bricks! And costing about the same. Take a look at his GIF to get an idea of how the pieces are put together. How good are Sean's videos? Judge for yourself. Back in the day, cars were only for the rich. No more, now there are cars for every purpose and budget. Running for office should not just be for the rich. Get with the times. 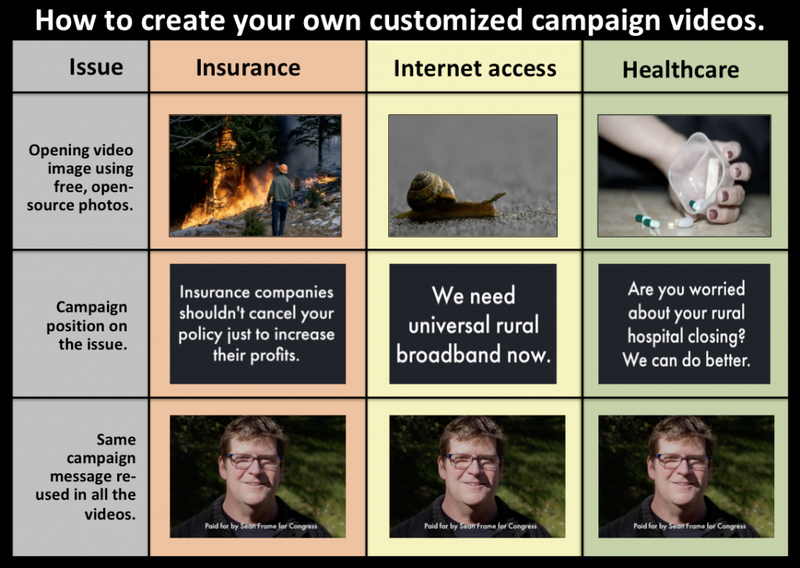 Use free, innovative apps to create your own campaign videos - customized for the issues in your race. Learn more here.